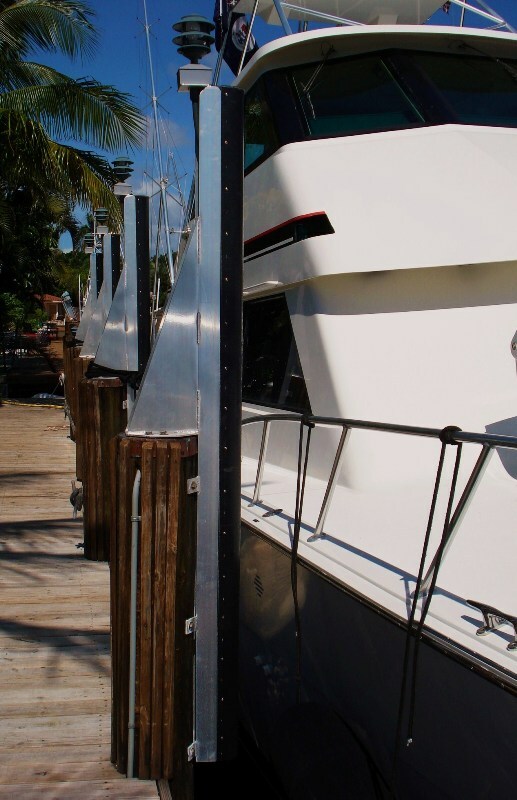 When Quality Matters Most, get Defend-HER dock fenders! Maximum protection and easy to install! 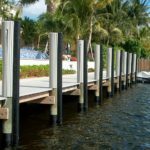 Atlantic Aluminum & Marine Products manufactures high quality dock products for marinas, residential docks and other waterfront environments. 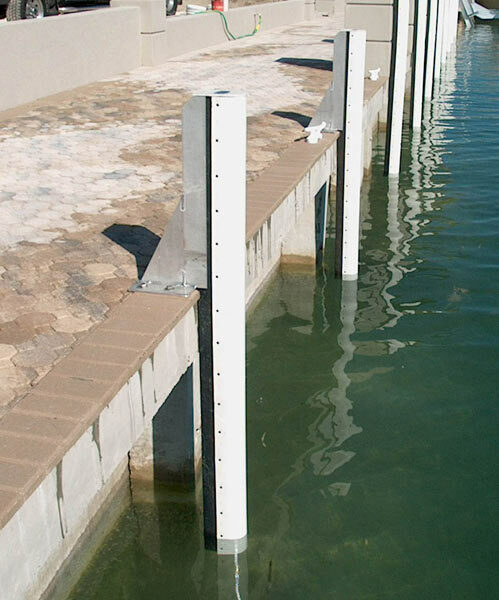 One product type, shown here, are the Defend-HER dock fenders. 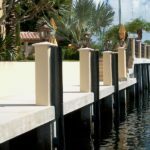 These are very popular on fixed docks in South Florida, the Bahamas and the Caribbean because they provide maximum protection for vessel’s hulls and easily install on the outside face of dock and mooring pilings. Outer shell consists of a flexible, highly durable PVC material with an interwoven nylon fabric. Recycled plastic lumber base – NO wood. Outer shell fastened to plastic lumber with high quality Stainless Steel screws – NOT nails. Impervious to Ultra-Violet, fuels, oils, acids, marine organisms. Industry best 12 year limited warranty*. 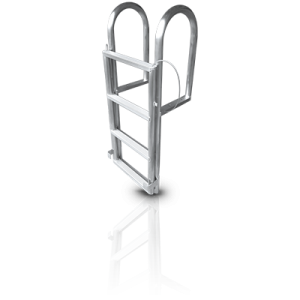 Available in black or white; 6’, 8’, 10’ & 12’ lengths; Light (LD), Medium (MD), or Heavy (HD) Duty applications. 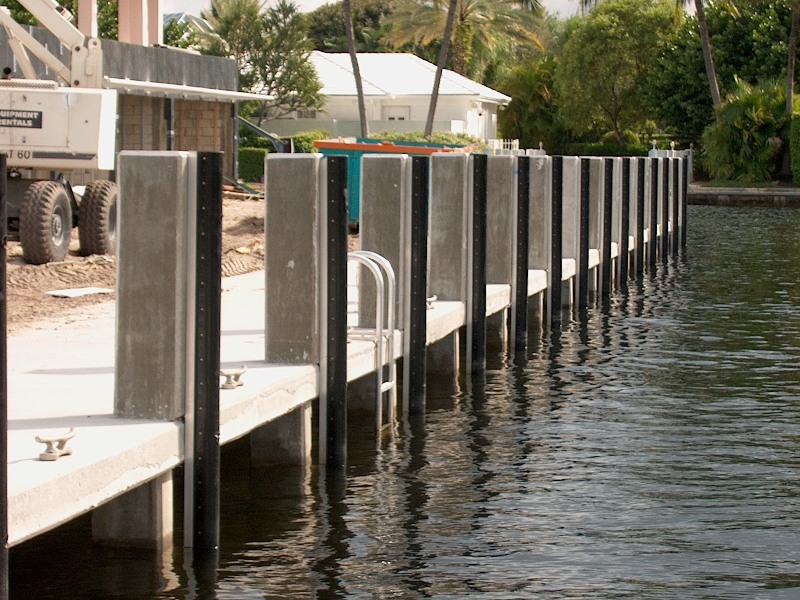 Pre-drilled mounting holes for easy installation to dock and/or pilings. 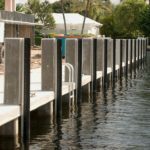 Bolts to the Aluminum Fender Bracket when pilings are not present. 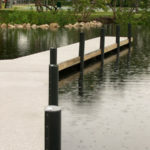 Custom dock fender applications available upon request. 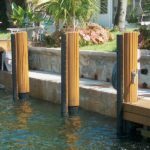 Commonly referred to as ‘Dock Bumpers’ – dock fenders is the proper term because they fend the vessel or boat from the dock. 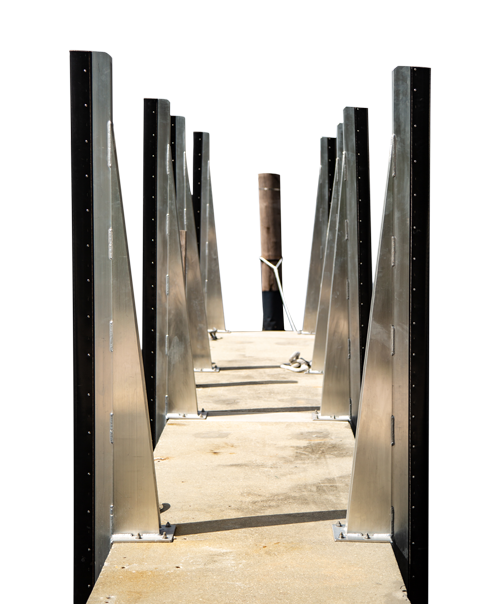 Compare Defend-HER Dock Fenders with the competition and you’ll quickly see why we can offer the industry’s best warranty! Better Construction – 12 year limited warranty! Most ‘D’ shaped dock fenders on the market today are extruded. What does this mean? 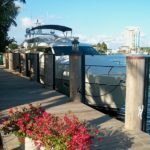 When these fenders, or dock bumpers as they are sometimes called, are manufactured, the material is heated and melted and pushed or “extruded” through a die to a desired shape. The major setback is during this process there is not a reinforcing fabric introduced into the fender material. The Defend-HER dock fenders DO have a reinforcing material or fabric within the fender. The outer shell is a HIGHLY DURABLE YET FLEXIBLE PVC MATERIAL. This is because a nylon and polyester fabric is introduced into the material during fabrication. This is why we beat the competition hands down with our 12 year limited warranty. 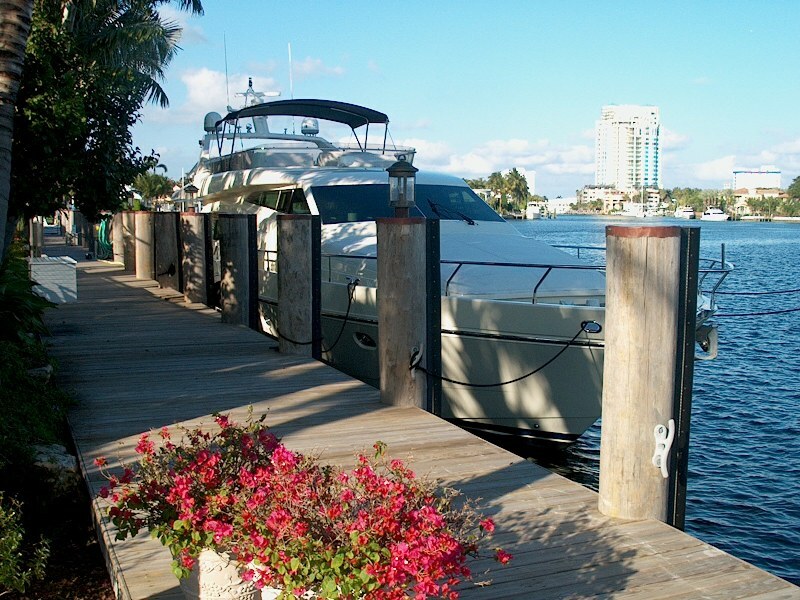 Our Defend-HER dock fenders will not split or crack GUARANTEED! Our competitors will not offer this because they can’t. Extruded fenders are prone to splitting and cracking by nature. It is not a matter of ‘if’, but when. 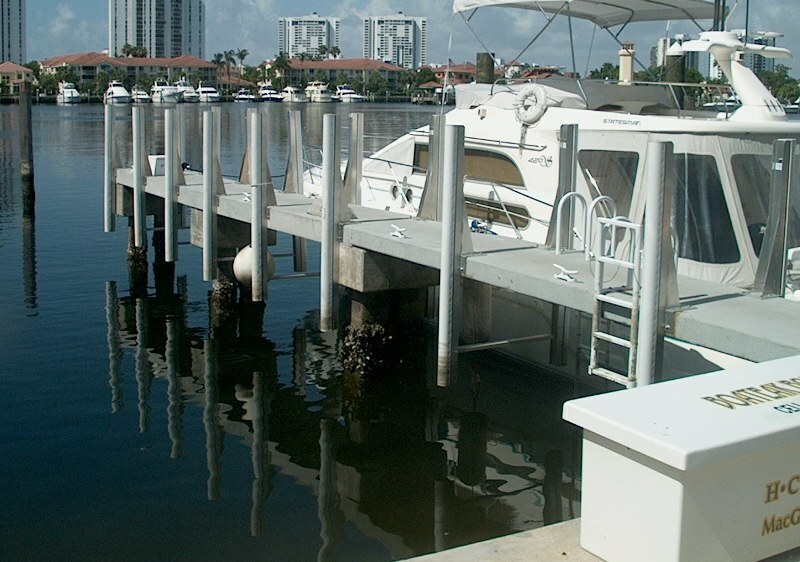 And when this happens, the boat owner will not have any dockside protection of fending their vessel off of the dock. Better fastening / backing material - 316 Stainless Steel Screws vs. Nails. ‘D’ shaped fenders are typically fastened to 2″ x 4″ or other dimensional lumber. 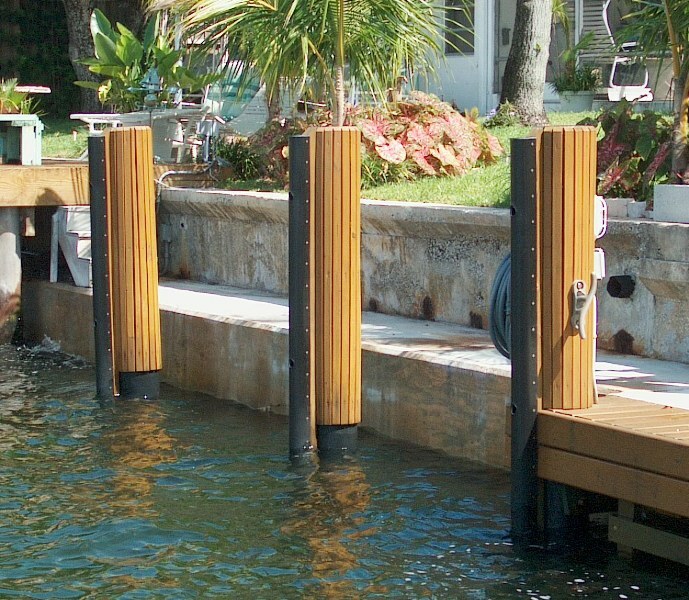 Defend-HER dock fenders are fastened to recycled plastic lumber. Not only is this a better product for the environment over pressure-treated lumber, but it lasts much longer due to it being impervious to oils, acids and the forever present marine borers in salt water. 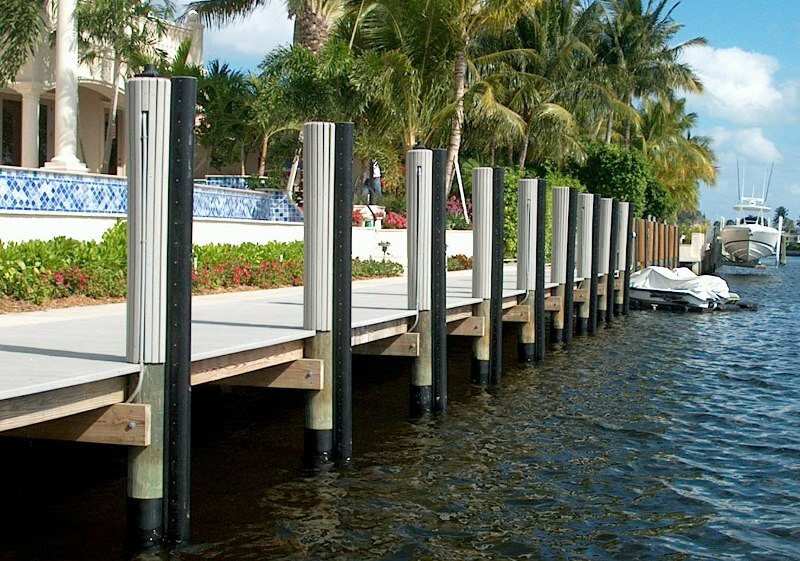 Another reason why Atlantic Aluminum & Marine Products offers the best warranty on their Defend-HER dock fenders. 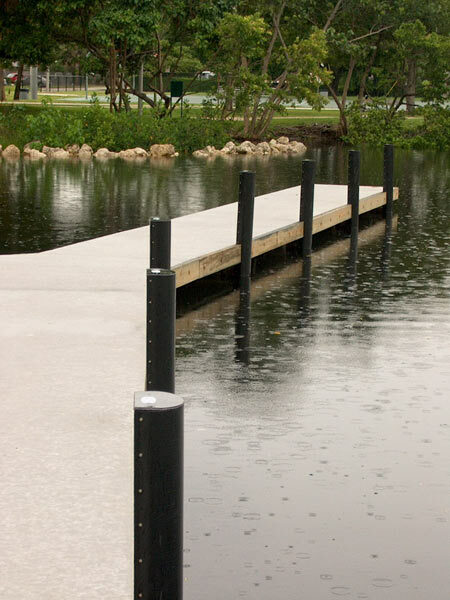 Defend-HER dock fenders are the only ‘D’ shaped fender on the market that are fastened to the lumber backing with high quality, 316 Stainless Steel screws. Our competitors use nails. Engineering studies have shown that screws have far greater holding power than nails. This is yet another reason why Defend-HER dock fenders are the best built! Defend-HER dock fenders are NON-marking to vessels. 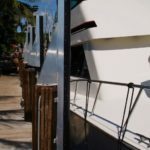 Atlantic Aluminum & Marine Products performed an in-house test to see how their Defend-HER dock fenders stood up to the competition when it came to potential marking on vessel’s hulls. 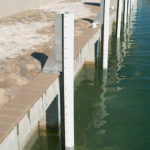 We took samples of the competitor’s fenders and rubbed them against a fiberglass, gel-coated finish and found that even at low impact levels these extruded dock fenders, or dock bumpers, left markings on the fiberglass finish. When we did the exact test method on our model, there were not any visible markings on the gelcoat. 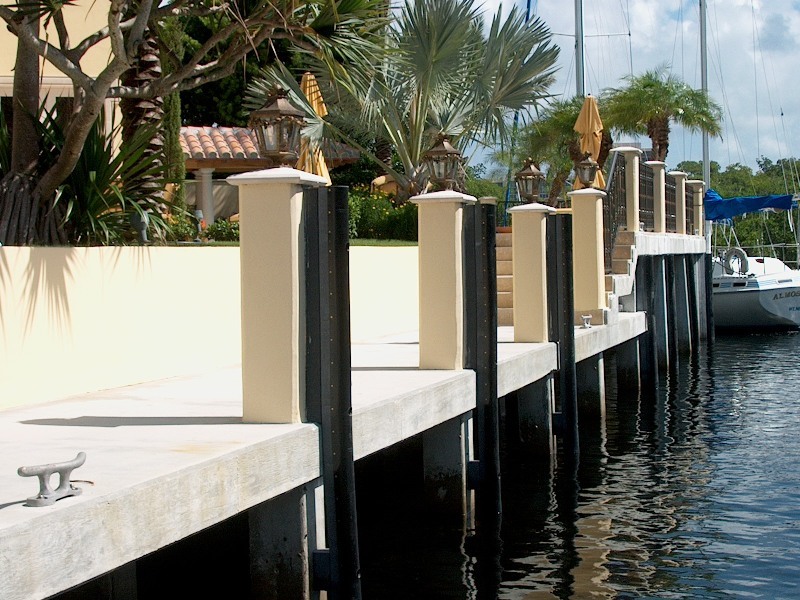 Atlantic Aluminum & Marine Products prides itself on building the highest quality dock products on the market today for marinas and residential waterfront properties. 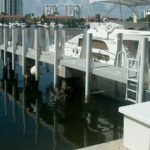 As South Florida boaters ourselves, we know what the demands put on boat owners are in the harsh marine environment and therefore, design and build our dock products to stand up against the tests of Mother Nature.